Feature structures are used to convey linguistic information in a variety of linguistic formalisms. Various definitions of feature structures exist; one dimension of variation is typing: unlike untyped feature structures, typed ones associate a type with every structure and impose appropriateness constraints on the occurrences of features and on the values that they take. This work demonstrates the benefits that typing can carry even for linguistic formalisms that use untyped feature structures. We present a method for validating the consistency of (untyped) feature structure specifications by imposing a type discipline. This method facilitates a great number of compile-time checks: many possible errors can be detected before the grammar is used for parsing. 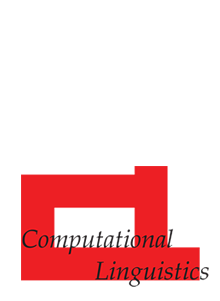 We have constructed a type signature for an existing broad-coverage grammar of English and implemented a type inference algorithm that operates on the feature structure specifications in the grammar and reports incompatibilities with the signature. We have detected a large number of errors in the grammar, some of which are described in the article.